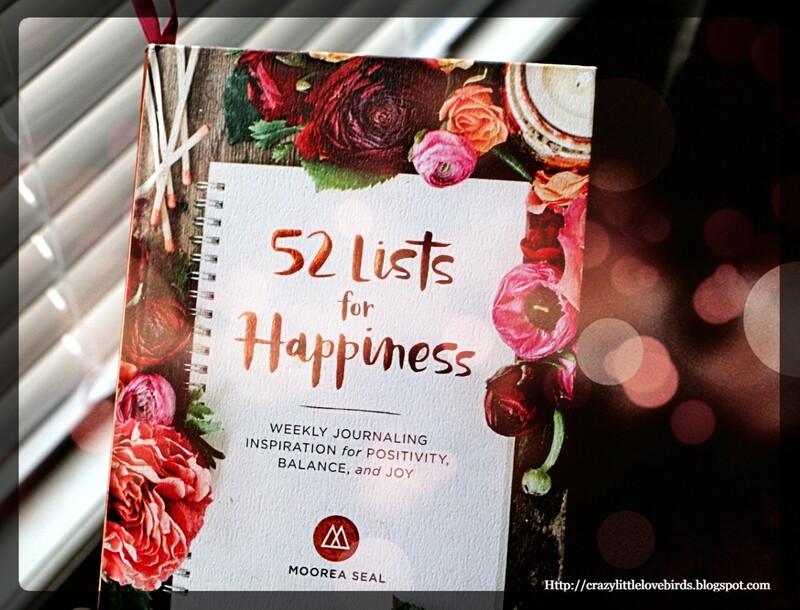 I'm currently diving into a book by Moorea Seal, 52 Lists For Happiness. This book is weekly journaling inspiration for positivity, balance, and joy. Do you journal? Have you been thinking about starting up a journal? If you have been thinking about starting a journal, this might be the right time to start. I've always enjoyed writing in a journal. It really gives you a peace of mind. Take a moment, and think about what truly makes you happy. What brings you joy? You'll find that this book helps you connect your thoughts to pen and paper in a very enjoyable way. I feel that it is a way that we can clear our minds, and reconnect in areas in our lives that we often neglect. I think it is important to practice self-care, and keeping a journal is a great way to distress, be mindful, and calm us when life starts to feel as though it is spiraling out of control. The contents of this book include, Reflect, Acknowledge, invest, and transform. Each list gives you an opportunity to grow, reconnect, smile, and revisit old memories. I've been on a continuous journey to happiness. I am aware that in life not everything will go the way I've planned it to. I realize that no matter what I must make the best of this life. In life you will grow apart from some people, but it doesn't mean that it is a bad thing. Every person that has entered my life has been there through a season, and has truly taught me something. Through my happiness journey, I've taken the time to know that the little moments are for cherishing. Honestly, every moment is for cherishing. I'm amazed at how quickly things can change. Happiness is letting go. In this life you can't go on harboring unwanted thoughts, and not allowing yourself room for forgiveness. It happens to us all, but in time you learn to let go. It can take some time, but you'll get there. 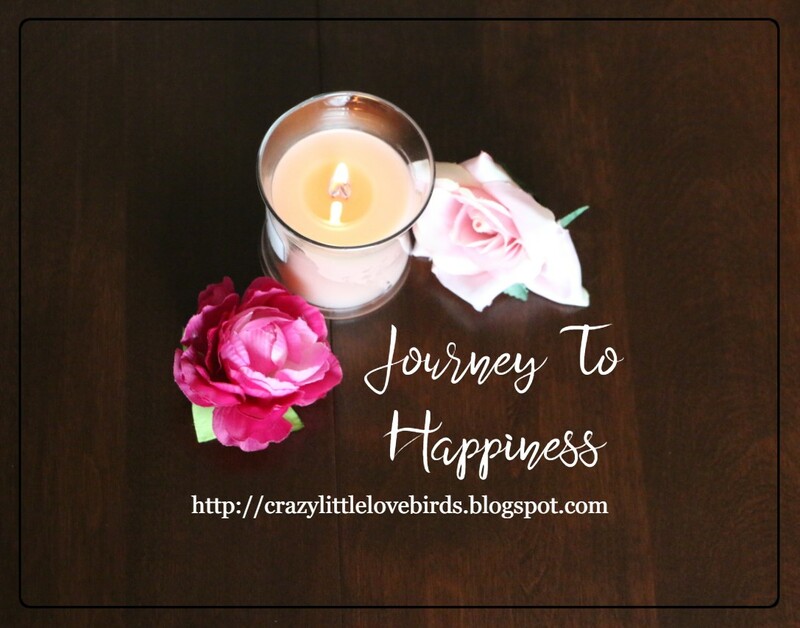 What makes up your happiness journey? 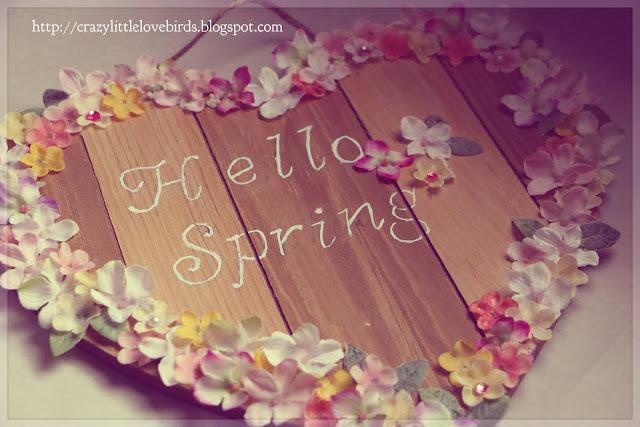 Hello, and happy Spring to all! We've been busy preparing for Spring break, and this week we'll be busy attending a few events for the kids. 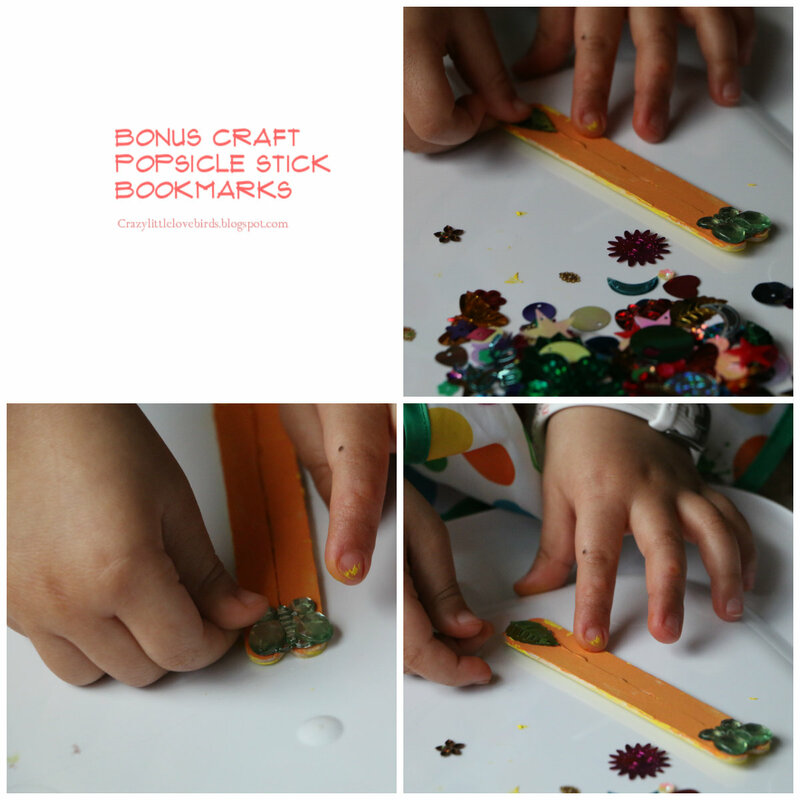 Over the weekend we made a few simple crafts that are so fun, and easy to create. 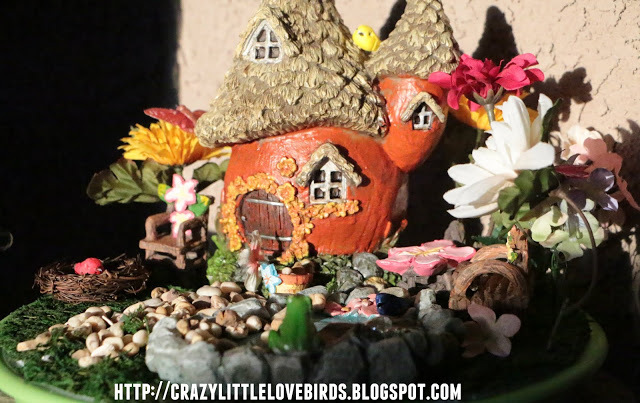 Below you will find a simple materials list, and steps on creating this simple craft. Enjoy, and Happy reading! 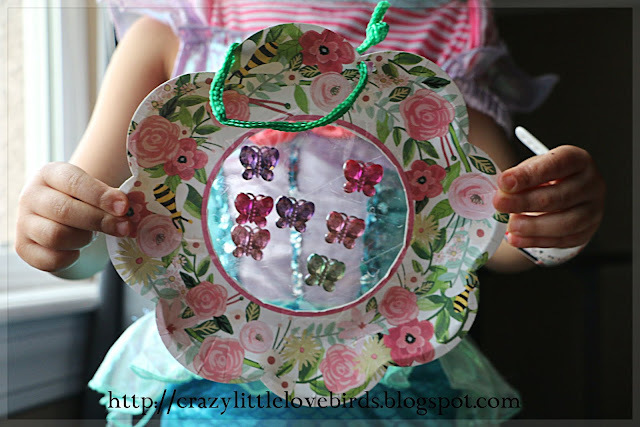 This craft is pretty much hands on for children. 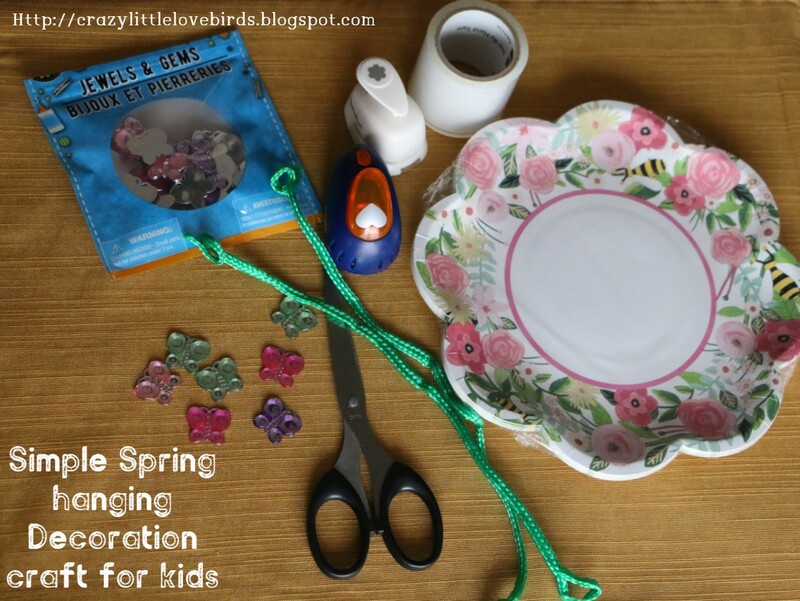 If your child is not yet using scissors, you can help with this first part. 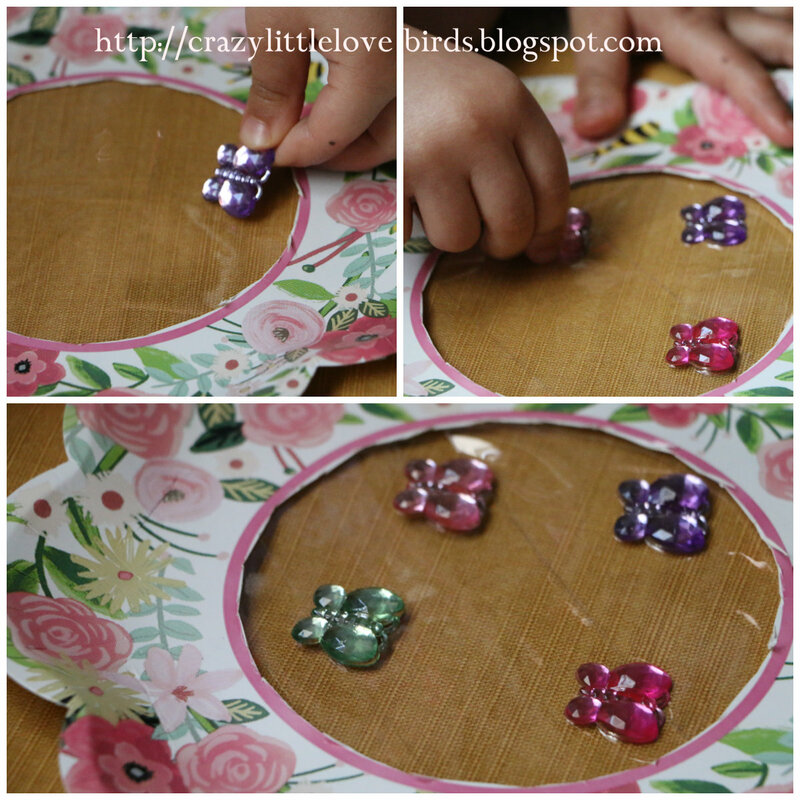 Using scissors cut out the middle of the paper plate. Once you do this step, take your clear tape and apply it, covering the middle area of the plate. You will want the sticky side of your tape to face up. 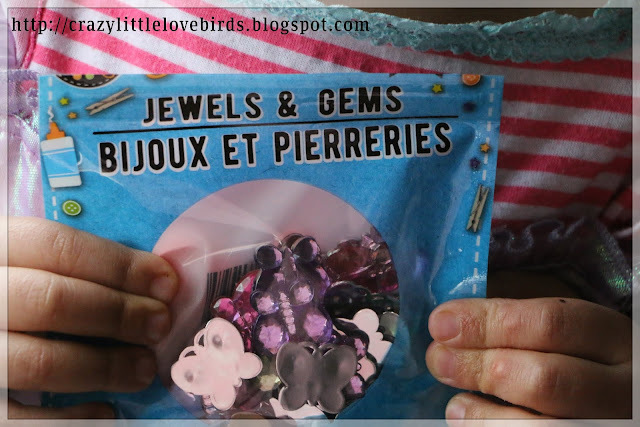 Next, taking your jewels, let your child place the jewels where they would like on the sticky side of the tape. Once your child is finished you can now cover the jewels with a layer of tape. This will secure everything in. The last step is just using your punch out, and making a hole on the top. Once you have done this, just add your string. You are all done! Kids, be sure to hang your decoration so everyone can see your beautiful creation! If you have some leftover gems, scroll down and check out a bonus craft you can create. You'll need some popsicle sticks, hot glue (parents should help with this part), paint, and your gems. 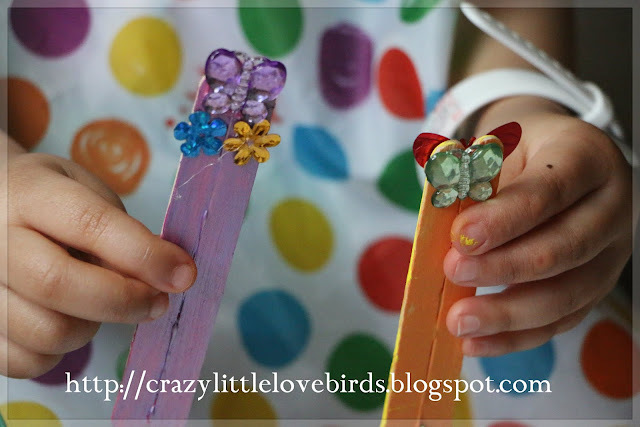 We glued two popsicle sticks together, painted them, and added our gems. 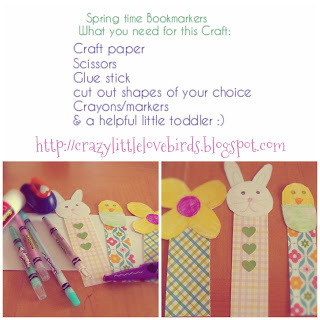 And there you have it, simple Spring bookmarks! Spring Break: A list of free fun things to do with your kids. First, start off with picking up an event calendar from your local library. This will help you find free events in your area.Some libraries even provide a magazine for your local area that has events, and programs listed. Also you can search the Internet for free events in your area. Attend a free event for kids at your local library. Paint outdoors. 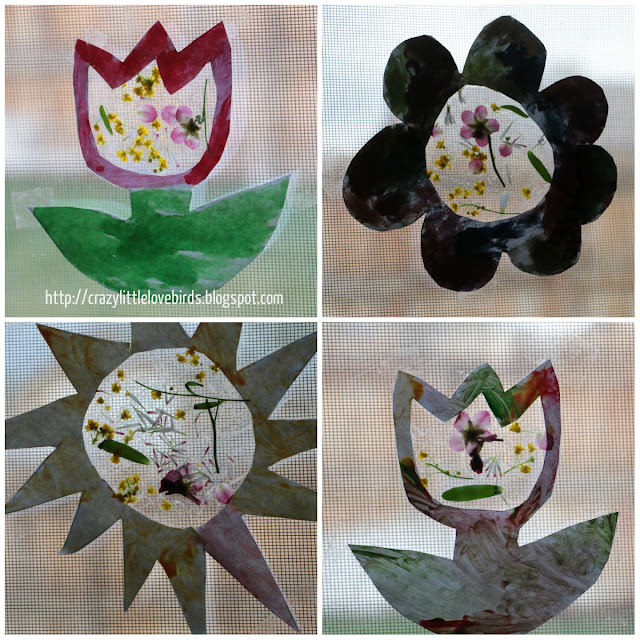 Set up an area outside with paint brushes, paint, paper, and water. Just enjoy the sunshine and create art. 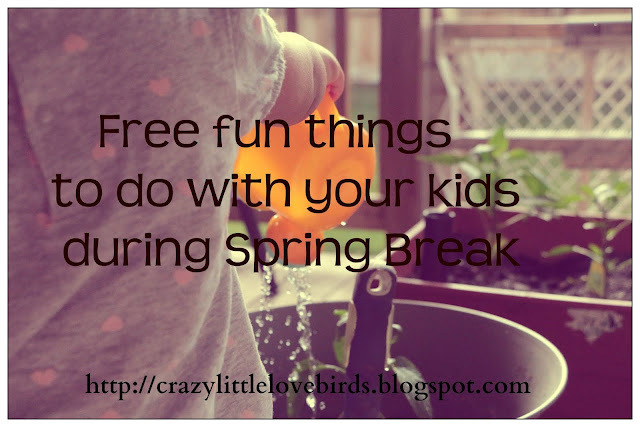 These are just to name a few free, and fun things you can do with your kids. I hope that you all have a wonderful Spring Break! Enjoy. 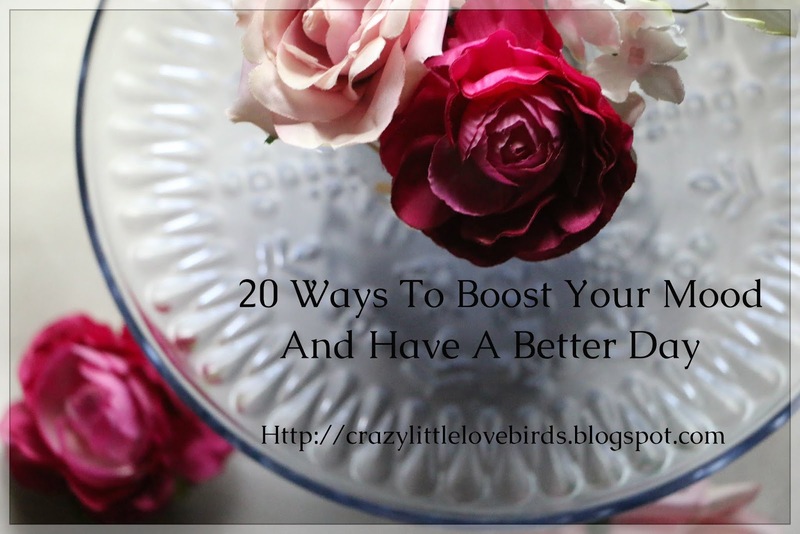 20 Ways To Boost Your Mood And Have A Better Day. 1. Take a relaxing shower. While you shower add in a few drops of your favorite essential oil. 2. Write down a list of things you want to accomplish today. Making a list and checking it off just feels great. 3. Enjoy a glass of lemon, or lime water. Staying hydrated is key! 4. Let in some sunlight.- Be sure to open any, and all windows when the sun is shining. It really helps to brighten a space up, and your mood as well. 5. Light a candle. It really just makes any space feel so cozy. Smelling a scent that you enjoy will help boost your mood. 6. Grab a good book, and read. A good book is sure to cheer you up. 7. Enjoy a cup of coffee, or tea on your porch when the weather is nice. 8. Prepare a healthy snack platter. One that includes fruits, nuts, and vegetables. 9. Put together a playlist of your favorite songs. 10. Move your body.- Gentle movement such as walking, or stretching. 11. Workout.- As mentioned above, move your body. Whether you stretch, walk, or do a full workout. It really helps boost your mood. 12. Watch one of your favorite shows. 13. 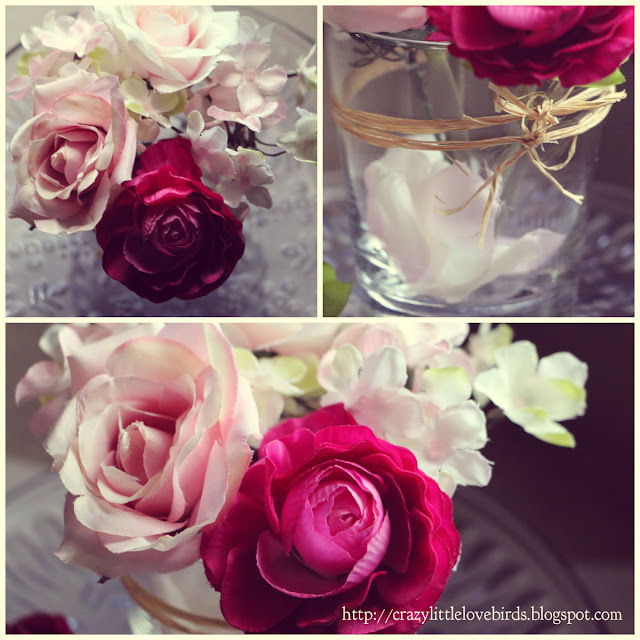 Arrange some flowers in a vase, and display them in your home. 14. Write an entry in your journal. 15. Give someone you love a BIG hug. 16. Explore a new store in your area. 17. Create a cozy space in your home that you can sit, and enjoy. 18. Take a nap. Resting is good, and it really can improve your mood. 19. Create some art. Paint a picture, or color in an adult coloring book. 20. Remind yourself that you are doing a great job. We all need to remember this. You are simply amazing! 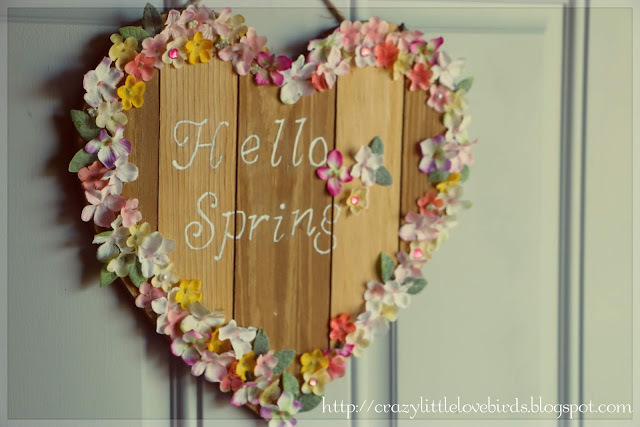 As the sunshine brightens the sky, and the air begins to warm, we patiently wait for the arrival of Spring. I recently visited my local arts and craft store and I couldn't resist the amazing sales they had going on. I was able to purchase some Spring items using the buy one get one free sale. I normally put out just a few items for Spring. 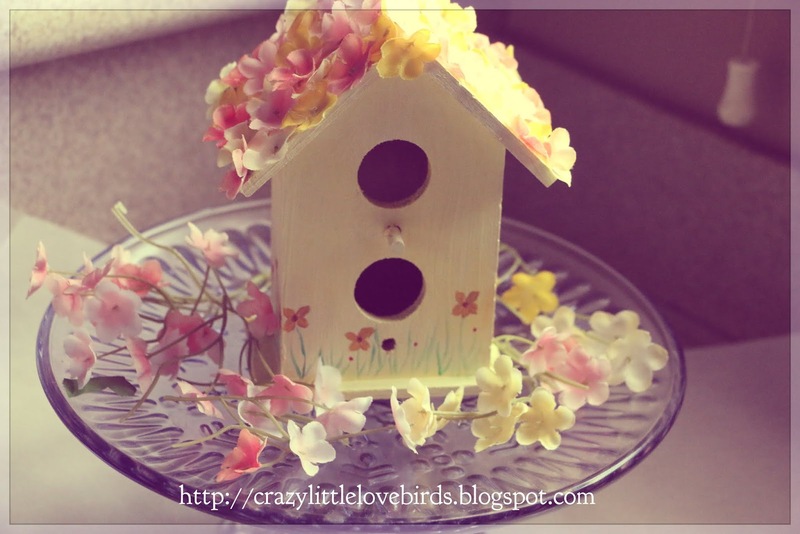 I decided to make three simple Spring decorations for our home. I keep it simple, but I like to add a pop of color here and there. In this post I'll be sharing three easy Spring decor items you can easily add to your home. ⁕Wooden heart, or any design of your choice. 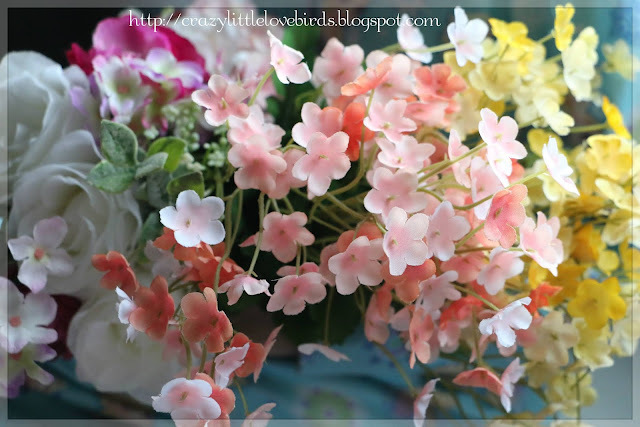 ⁕Silk flowers. Any will do. ⁕Lettering of your choice. I used a letter stencil. ⁕Paint, I used white paint for my letters. All you will need to do is take your flower pieces and glue them around your wooden heart. You can add some gems to a few flowers. Next design your lettering of your choice. It really is that simple! 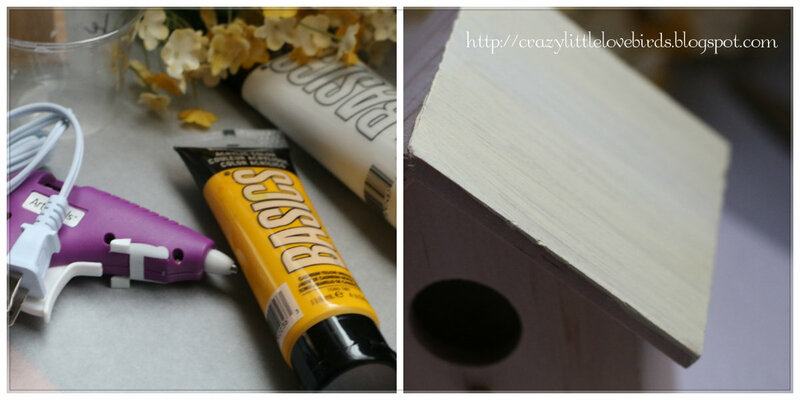 Start off with painting your birdhouse. Once the paint has dried and you have your desired look for your birdhouse, add a few of your own designs. I painted on some grass, and a few flowers. 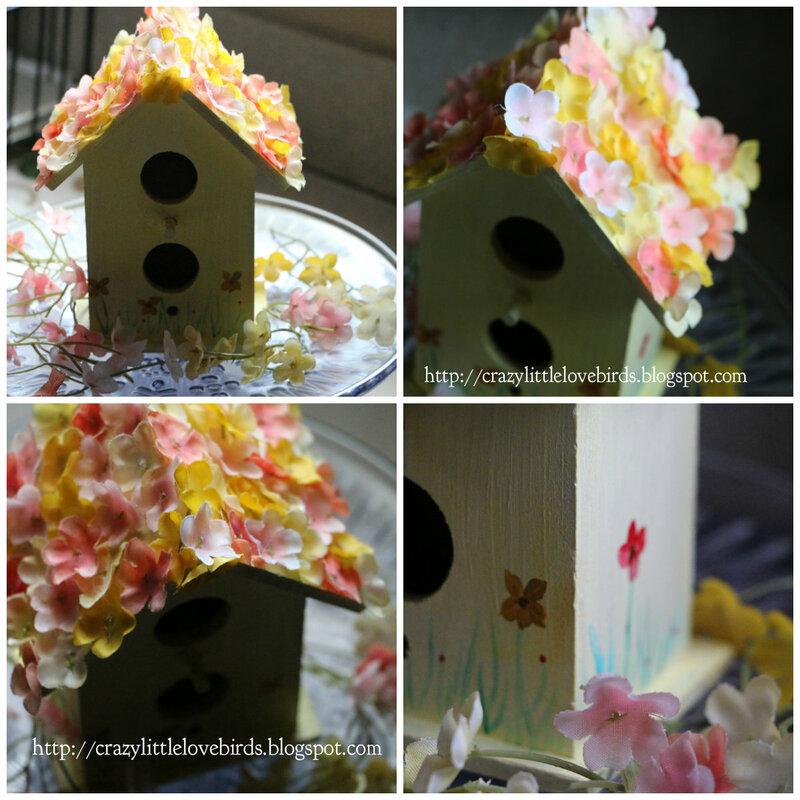 Next, glue flowers on the top of the birdhouse roof. You're all done! This is a cute addition in the kitchen, or maybe even on an entry table. You can also add this on your porch. 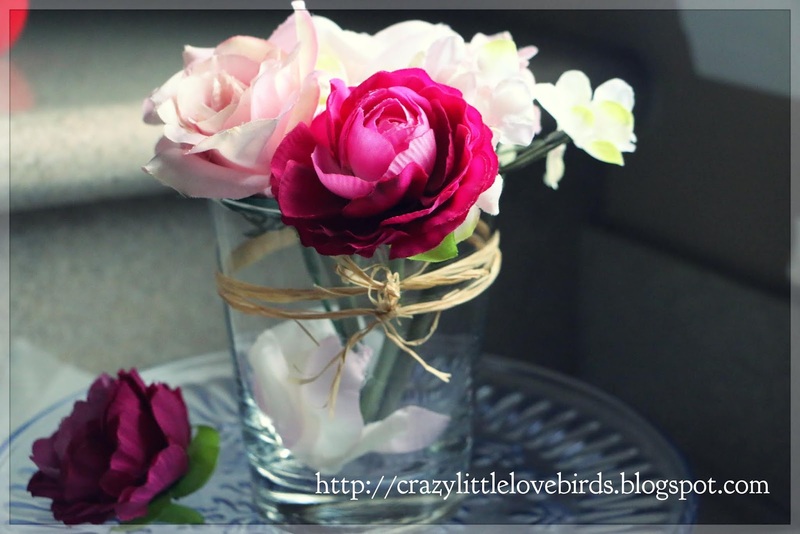 For this simple Spring flower display I used an old candle jar. I simply took the candle jar, and cleaned it out using soap and water. I had a few extra flowers that I used for this display. The flowers actually came with the tan paper twist holding them together. I took it off the flowers and tied it around the candle jar. I think it adds to the jar. Using some scissors, I cut a few of the silk rose petals and added them to the bottom of the jar. I took my flowers and arranged them in the jar. All done! 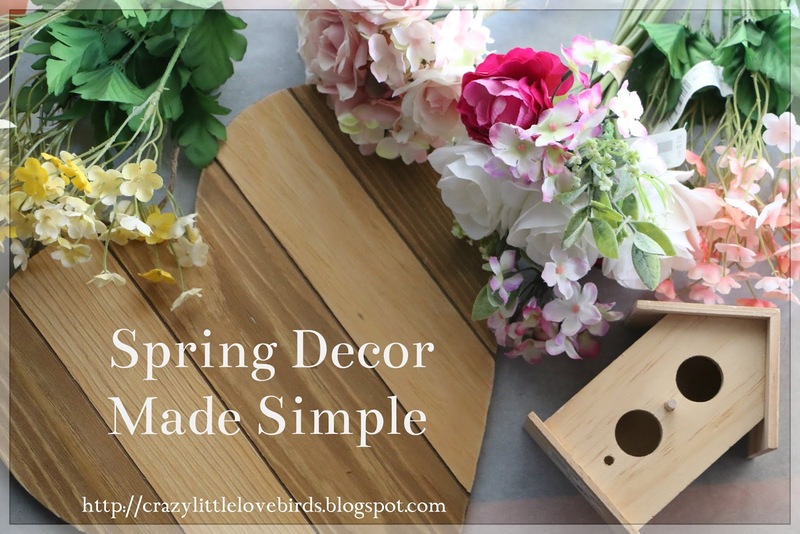 I hope you enjoyed my Spring decor made simple. Feel free and share this post! 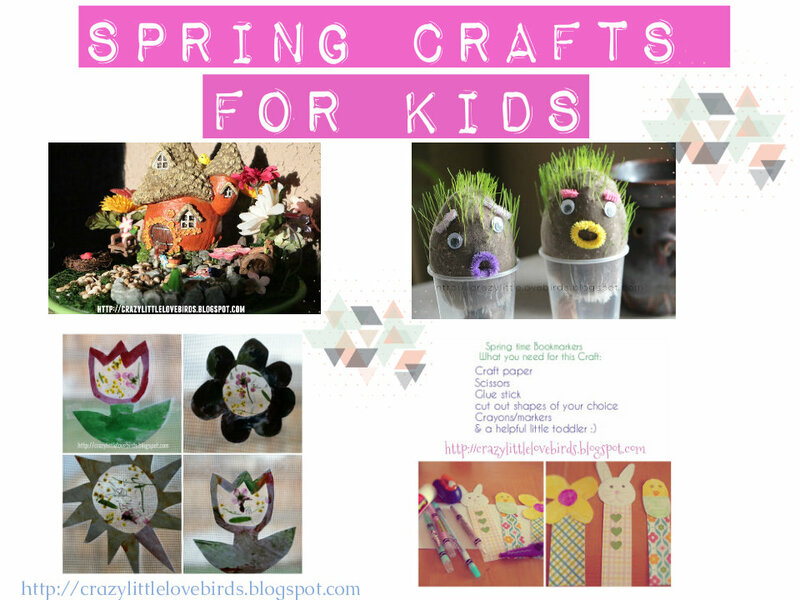 I've provided links to each of my Spring crafts that kids can create. These are all simple, and so much fun to do! 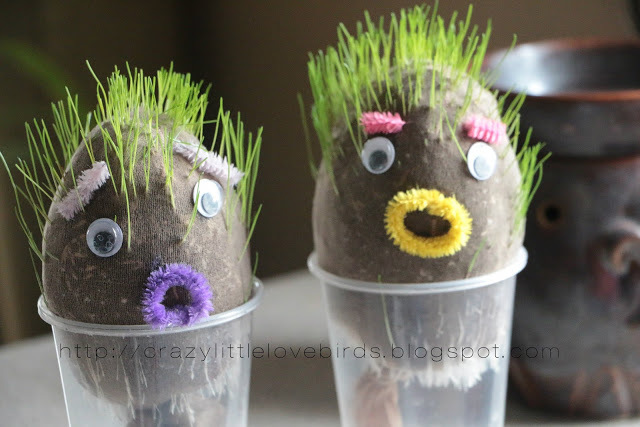 Enjoy, and have a blast creating and making memories with your kids. Just visit each link below the pictures. If you have enjoyed these crafts, please feel free and check out some of my other fun crafts. Just visit the tabs on my main page. And feel free and share any of these. Thank you for stopping by. 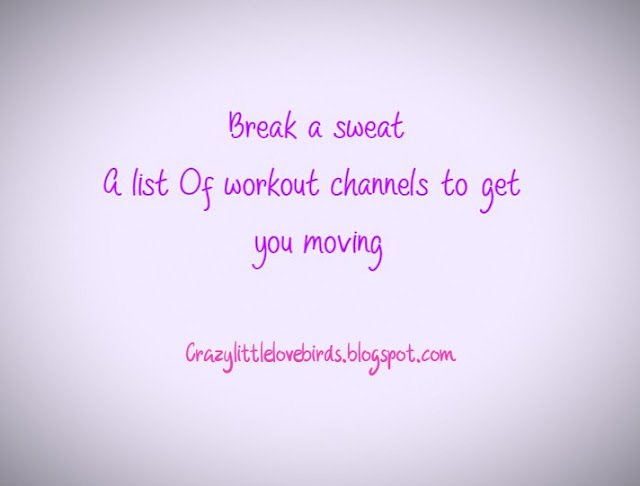 Break a sweat.-A list of workout channels to get you moving. Are you looking for workout channels to get a good sweat session in? If so, I've created a list of channels that I currently use. Even if you are just starting out these videos can really help guide you through this journey. Whether you are just starting out, want low impact, build strength, or you just want to get moving, these workout channels will help you get started. I work out 5 days a week, and I do my work outs at home. We do have a home gym, but even if you don't you can still break a sweat using free workout channels on YouTube. Below I have included a list of YouTube channels that I am currently subscribed to, and use for my daily workouts. This is not a sponsored, or paid for post. I am just sharing the channels that I use for my daily workouts. Feel free and visit any of my encouraging posts below. Hello, and welcome to Crazy little love birds. My name is Stephanie, and I'm thrilled that you chose to check out my blog! I'm inspired to live a life that is full of love, happiness, and fun adventures with my family. 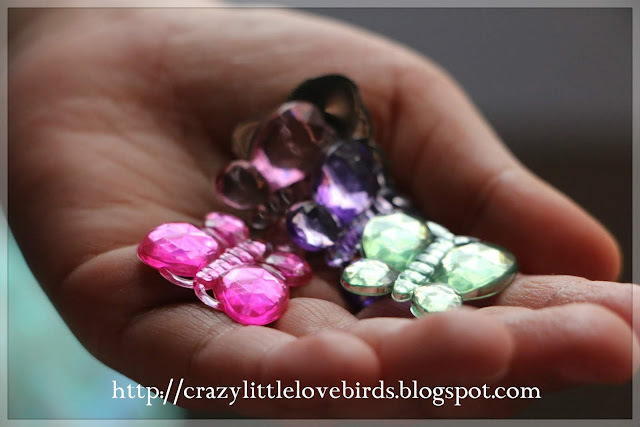 Here on my blog you will find that I share inspiring/motivational posts, crafts, reviews, everyday life posts, and much more. To learn more about me click on my About me tab. Here and there. -Life, thoughts, and more.